Brand New to Ballet Classes? Ballet is the foundation for all forms of dance. Ballet develops grace, flexibility, balance, alignment, and strength. Ballet combines the enjoyment of movement, expression and sensitivity to music along with discipline. It is also a basis for gymnastics and skating. Our Ballet program is noncompetitive and fun. We have classes for children and teens. Pre-Ballet is for ages 4 -6. Ballet I is our entry level class usually taken for 1-2 years. Dancers are placed in Ballet II and III based on their skill level. We also have dance classes for preschool children ages 2 - 5. 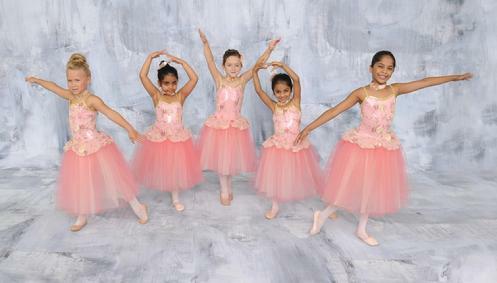 Our preschool dance programs are divided by age; (2) (3-4) (4-5) & (5-6). There are ballet, hip hop and tap classes. The teacher guides the student to learn in a way that makes discovering movement, balance and listening skills easy and fun. By the end of the year the students will memorize simple exercises and sequences, and learn vocabulary that will prepare them for classes taken in the years to come. 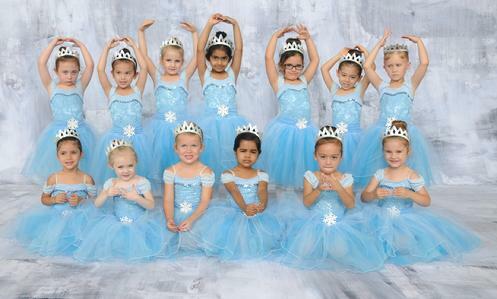 Click here to see our Preschool Dance page.